At Railway Children, we see ourselves as warriors, united in changing the long-term future for children living alone and at risk on the streets. We will never stop fighting for street children. It’s all we do. It’s all we’ll keep doing. We are looking for someone to build networks and partnerships with government and other agencies that further enable RCA to deliver its strategy for the region. The successful candidate will be responsible for advocating for change that will improve the lives of street children in line with both RCA's strategic objectives and the UN General Comment 21 on children in street situations. Closing date: 21st October 2018. Only short listed candidates will be contacted for interviews. 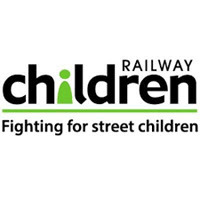 This year, Railway Children celebrates 20 years of fighting for children alone and at risk on the streets. During that time, we’ve reached more than 275,000 children in India, the UK and East Africa. We know there is still so much more to do. Millions of children still live alone on the streets where they suffer abuse and exploitation. In the UK, society often denies their existence, and in other countries the problem is so prevalent that it has become ‘normal’. They run away or are forced to leave home, where they suffer poverty, violence, abuse and neglect. They find themselves living on the streets because there is nowhere else to and no one left to turn to. The problems they face on the streets are often even worse than those they endured at home. Railway Children race to reach children as soon as they arrive on the streets and intervene before an abuser can. Our pioneering work enables us to get to street children before the streets get to them.